Rugula | P&S Bakery Inc. Flaky crust using butter and cream cheese allows the cookie to melt in your mouth. 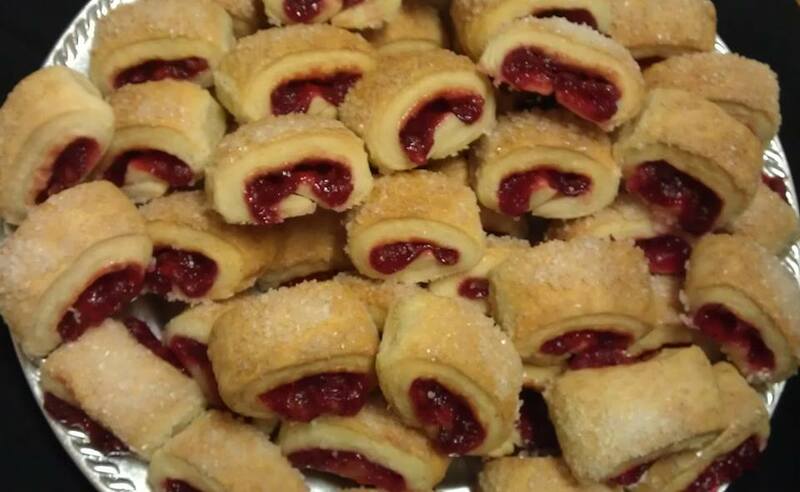 Raspberry, walnut, and chocolate/chocolate chip filling give a great compliment to this homemade treat. Rugula unbaked cookies are packed 16 units each per bag. Case consists of 12 bags. Case contains 384 units. Rugula cookies can be purchased fully baked and packed in clam shells to meet customers needs. All Content Copyright 2011. All Rights Reserved.